Online registration for this event has closed. Registrations will be accepted on-site beginning at 7 a.m., Saturday, Jan. 26. Human movement analysis, or identifying dysfunctional motor patterns, may play an important role in pinpointing the underlying cause of symptoms, rather than simply isolating sources of pain. While establishing clinical assessment from the viewpoint of a movement pattern, the clinician may recognize meaningful impairments that appear unrelated to primary main musculoskeletal complaint, but actually cause or facilitate the associated pain syndrome. In addition, this workshop provides pragmatic rehabilitation protocols for shoulder and spinal disorders. 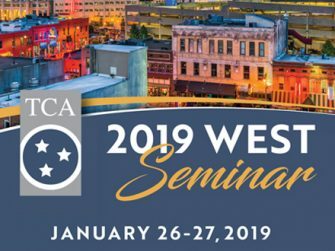 Join us for this dynamic seminar and connect with your colleagues from Memphis and across the region! The Chiropractic Therapy Assistant Exam will be offered at this site in Memphis on Saturday. You must apply prior to Friday, January 11, 2019. Please fax your Exam Application (included with your 50 Hour Program) and exam fee to (615) 383-6233 (please mail form with check payments) or contact the TCA at 615-383-6231 with any questions. by email to tca@tnchiro.com. We hope to see you there!